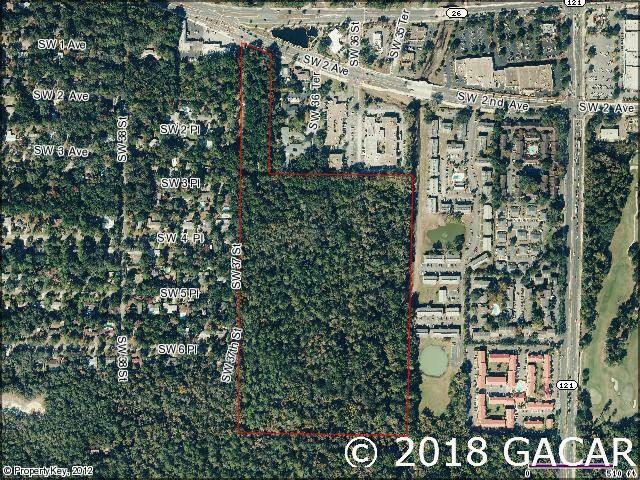 View all land currently for sale in Gainesville. Listed are building lots, development parcels and single family lots of sale in Gainesville, FL. Amazing parcel with unlimited potential for Retail, Office, MF & everything in between. Very few exceptions to the zoning, which makes it very flexible in its variety of potential uses. Front 3 acres is zoned & ready to go with the MU-1 zoning. Back 36 acres is currently zoned CON, so a zoning change would be needed prior to any further development. Located less than a half mile from the University of Florida.